The Āyurvedic tradition nādī vijñāmam, reading the pulse, is both a skill and and an art. It is the ﬁrst and most complete of the ancient Vedic diagnostic tools and is best learned directly from an authentic master with great spiritual insight. Vasant Lad’s lectures - combined with the opportunity to observe him using pulse assessment and to have hands-on practice with your own pulse and that of your classmates - will begin to develop your sensitivity and basic awareness of these levels - especially prakrtuti, vikruti and the organ pulses. the second one is a 2-week training program at VIOA (Vasanta Institute of Ayurveda) in India. Āyurvedic education and clinical experience is important for getting the most that you can out of this training. Please come to the training familiar with Dr. Lad’s Textbook of Ayurveda Volumes 1-3 and his book Secrets of the Pulse: The Ancient Art if Ayurvedic Pulse Diagnosis. Webinar is devoted to the prakṛti, vikruti and organ levels of the pulse - those that can reveal information about a person’s constitution, current state of imbalance and organ energies, respectively. Format: webinar (online). Webinar recording will not be available for viewing and purchase. Vasant Lad will introduce the dhātu level of the pulse, through which an experienced practitioner can assess the health of the sapta dhātu or seven bodily tissues - rasa, rakta , māṃsa, meda , asthi, majjā and sukra/arthava. *Webinars will be held on the educational platform of Vasant Lad's Ayurvedic Institute. Webinar recordings will not be available for viewing and purchase. Webinar registration closes one day before the announced start time. You will begin with an exploration into Vedic philosophy with special reference to the journey of consciousness into the pulse. You will then be introduced to the physics of pulse - the basic qualities and seven important characteristics that can be detected by bringing one’s full attention to the radial artery, including gati (movement), vega (rate), tāla (rhythm), bala (force), ākruti (tension and volume), tapamāna (temperature) and kāthinya (consistency of the blood vessel wall). Conditions detected in the radial pulse can be conﬁrmed by reading the pulse at different areas of the body. Vasant Lad will discuss other anatomical areas for pulse-taking such as the abdominal, axillary, brachial, carotid, femoral, orbital, temporal, and posterior tibial/dorsalis pedis pulses, and the signiﬁcance of each. You will then turn your attention to the seven levels of pulse taught by Vasant Lad - from prakṛti to vikruti, to the state of organs, subdoshas, dhatus (tissues); ojas, tejas, prāṇa — even the state of the mind and chakras can be detected by bringing awareness to each of these seven levels. This includes the cost of training at VIOA. You pay for flights, accommodation and food separately. A native of India, he served for three years as Medical Director of the Ayurveda Hospital in Pune, India. He was Professor of Clinical Medicine at the Pune University College of Ayurvedic Medicine for 15 years. He holds a Bachelor’s of Ayurvedic Medicine and Surgery (BAM&S) degree from the University of Pune and a Master’s of Ayurvedic Science (MASc) degree from Tilak Ayurved Mahavidyalaya. Vasant Lad’s academic and practical training include the study of Allopathy (Western medicine) and surgery as well as traditional Ayurveda. Beginning in 1979, he has traveled throughout the United States sharing his knowledge of Ayurveda. In 1984 he came to Albuquerque as Director, principal instructor and founder of The Ayurvedic Institute. The author of numerous books, Vasant Lad is respected throughout the world for his knowledge of Ayurveda. 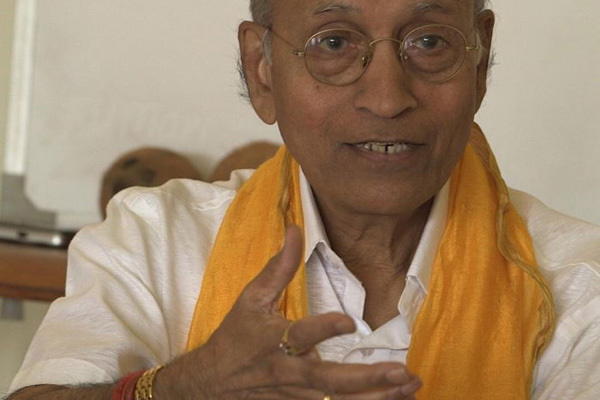 Vasant Lad has written 11 books on Ayurveda as well as hundreds of articles and other writings. With over 500,000 copies of his books in print in the US, his work has been translated into more than 20 languages.